Any glimpse of the sun throughout the city's long winter brings out a number of people who line up along the walls of the Peter and Paul Fortress, on the banks of the Neva River. As spring approaches and the days grow longer, the numbers of sunbathers also grow. For a city close to the polar circle and famous for its bad weather, sunny days are welcomed with a special zeal and good tans are enviable luxuries. Though there are no specifics, local bloggers claim that this tradition picked up in the 1960s and the sunbathers are lovingly nicknamed 'walruses'. 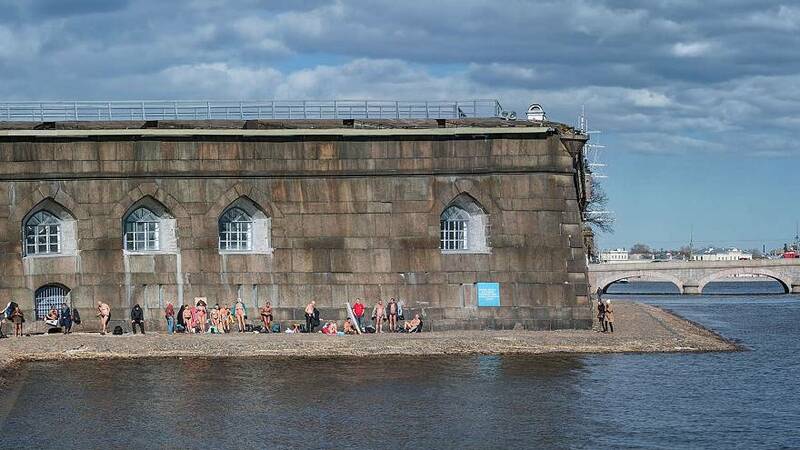 Some of St Petersburg's winter sunbathers have frequented the shores of the historical fortress for decades, they say. The Peter and Paul Fortress is also a big tourist attraction, where tourists, wrapped in warm winter cats, look on with confusion at the local sunbathers making the most of their chance in the sun.